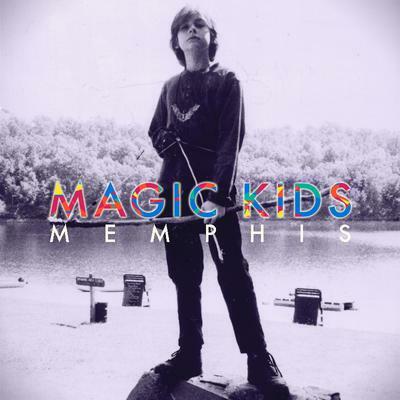 As odious as it is to make comparisons, Memphis, the debut album from Magic Kids, immediately and inescapably reminds you of the work of Brian Wilson, with coruscating harmonies and joyful multi-instrumentalism. The opening 'Phone' certainly does this, while later 'Hey Boy' strikes a Smile-like chord, also reminiscent of mid-era Beatles and Van Dyke Parks. But the album, named as a 'throwdown' to challenge the traditional musical associations of their hometown, offers much more and has plenty that is original. While their city is known as the home of the blues, these young locals are diametrically different, preaching a euphoric and happy philosophy. Amid a wide panoply of sounds on the album the band's harmonies evolve from the Wilsonian to find their own way, feeding on plenty of soulful recollections of the 1960s record of their parents, as well as a healthy dose of baroque pop and electronic twiddling. A six-piece who happily wear shorts on stage, the Kids are labelmates of Delorean, Girls and Hunx & His Punx on True Panther Sounds. They are garage rock graduates - in fact they might not even be old enough to be graduates - with an unashamedly jubilant approach. The disc is released into the wild on 23 August (your correspondent's birthday, no less!) in CD, vinyl and download.